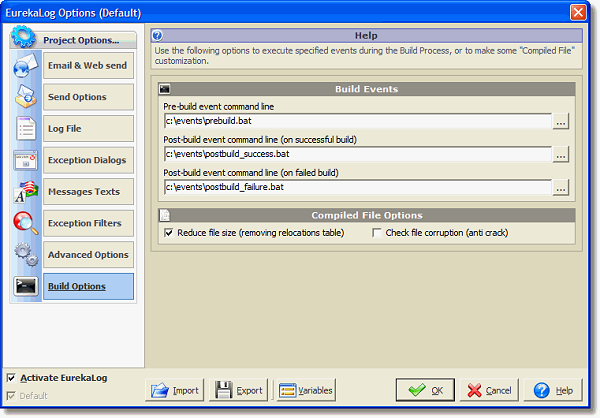 You can choose to run a program before and after ever project build. NOTE: this option may cause error if used with external localizer software. NOTE: this option may cause false-positive error if used with software that modified the final compiled file (as EXE compressors/protectors). "Use EurekaLog 7 compiler" Switches compiler to compiler from EurekaLog 7. See also EurekaLog 6.1 for more details about meaning of this option.